The artistically contoured design of this wedding band infuses a contemporary twist to the otherwise simplistic pattern. 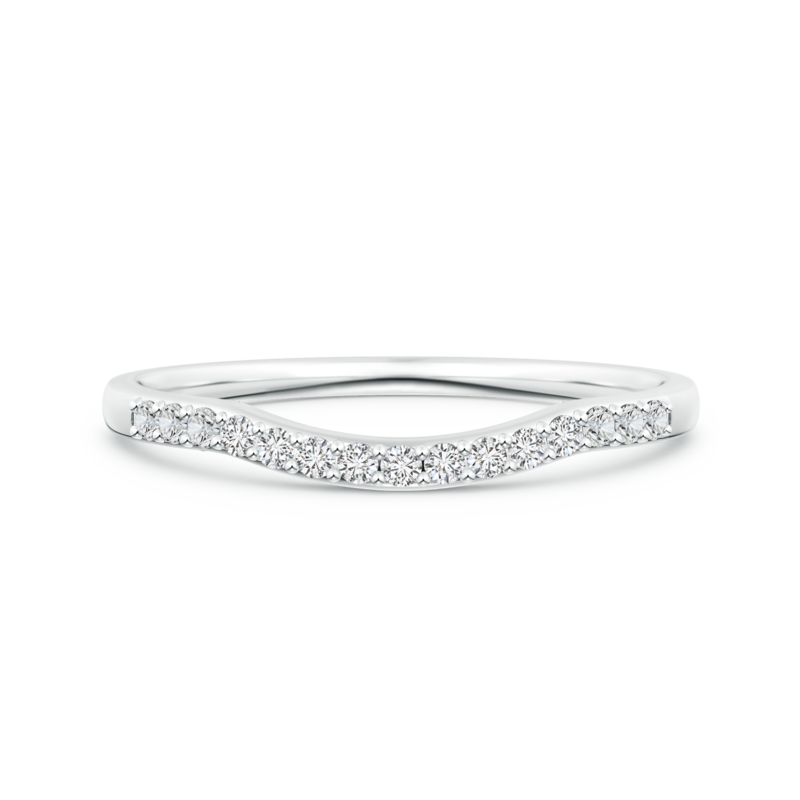 It showcases glistening lab grown diamonds that partially adorn the circumference and instantly elevate the allure of this wedding ring with their purity. The 14k white gold metal radiates a distinctive sophistication and perfectly complements the charm of the eco-friendly gems. This splendid half eternity band's sleek shank makes it comfortable to be stacked along with other rings.